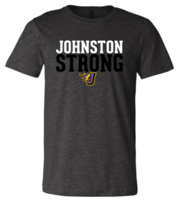 The Johnston PTOs are selling spirit wear! Shipping is free and orders will arrive the last week of March. All orders need to be placed by 6:00pm on Friday, March 8. Samples available to try on: Beaver Creek Elementary, Thursday, February 28, 2-7:00pm. There are a variety of items including shirts, socks, pants, hats, and more!